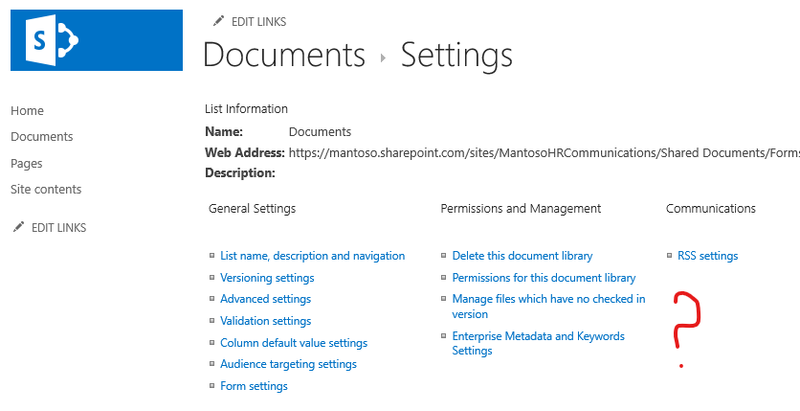 Are you struggling to save a SharePoint Online list as a template just like I did recently? Then you are reading the right post. 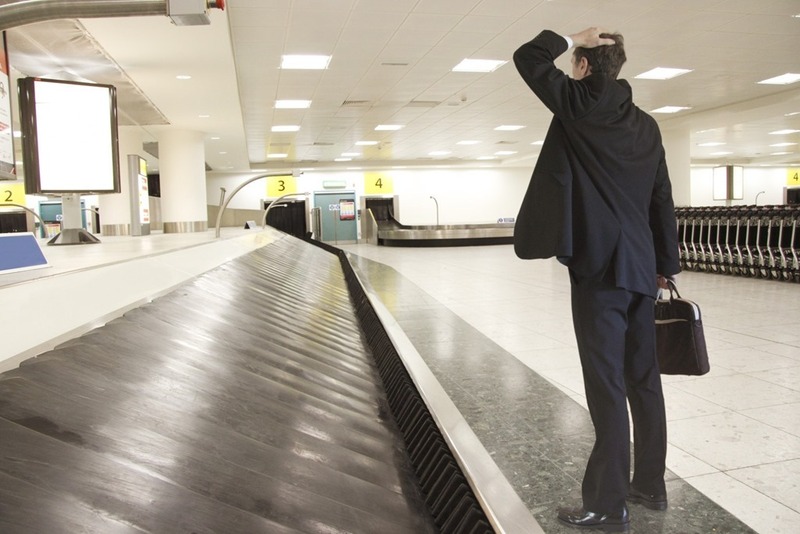 Well, worry no more as this article will demonstrate the solution to simply get it fixed. 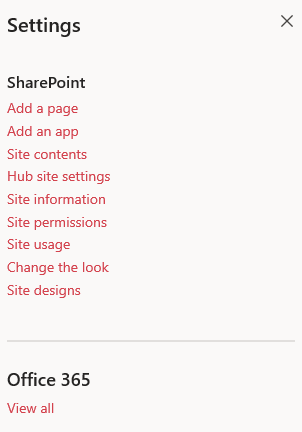 Usually when you go to your SharePoint list/library settings page, you can easily spot the “save list as a template” link. But if you check the SharePoint online – this is missing. Now let’s get our good friend back. The reason behind this, is a feature which is disabled by default. 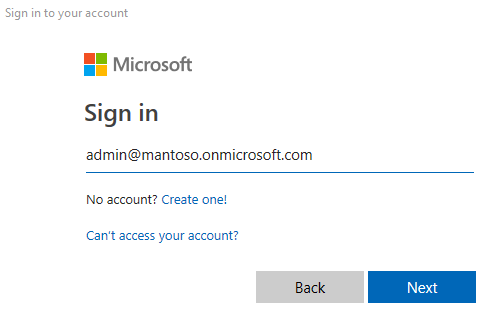 Log in to office.com using your admin credentials and head on to Admin Center –> SharePoint Admin Center –> Classic SharePoint Admin Center (Yes ! at this moment, you really need to go to back to classics, but don’t worry at all, it wont change anything). Go to “Settings” from the left navigation and scroll down until you see the “Custom Script” section. And hit that “OK” button at the bottom of the page to save the changes. This might take about 24 Hours to affect as it depends on the Office 365 maintenance job schedules. It will prompt you to provide your Office 365 SharePoint Admin credentials for the 3rd command. Last line is for the real job ! That should immediately affect the target site collection. Now if you head back to the list/library settings page, you will immediately notice the feature is back. DISCLAIMER NOTE: This is an enthusiast post and is not sponsored by Microsoft or any other vendor. Please do not copy/duplicate the content of the post unless you are authorized by me to do so. 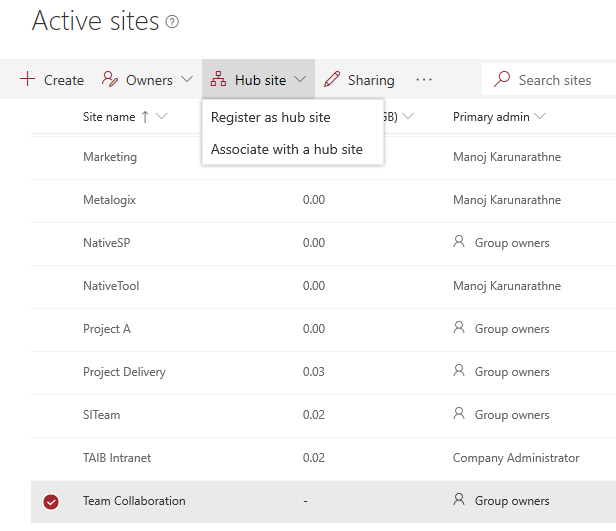 Hub Sites in SharePoint Online is the new way of organizing your sites. Now what does that mean? 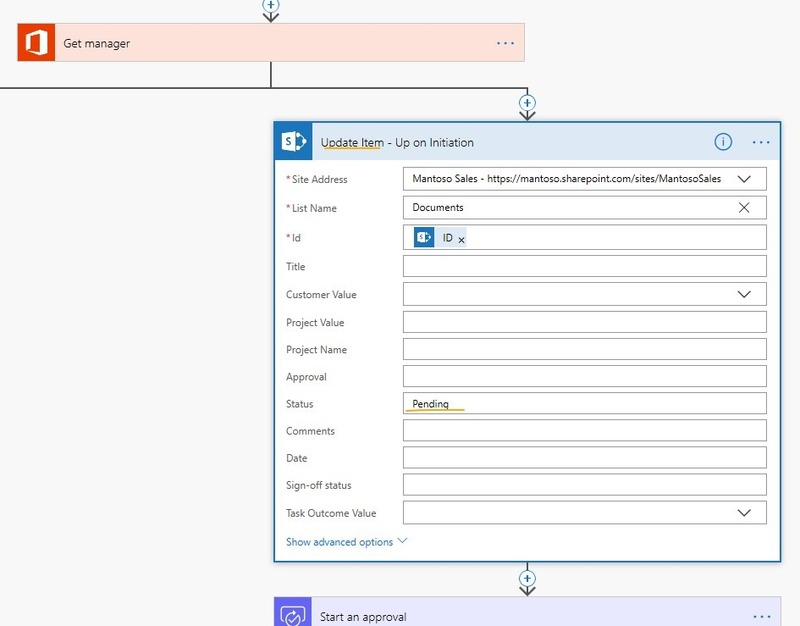 Based on the size of an organization, SharePoint admins create multiple sub sites to classify and organize content which usually aligns with the organization hierarchy (Department wise). 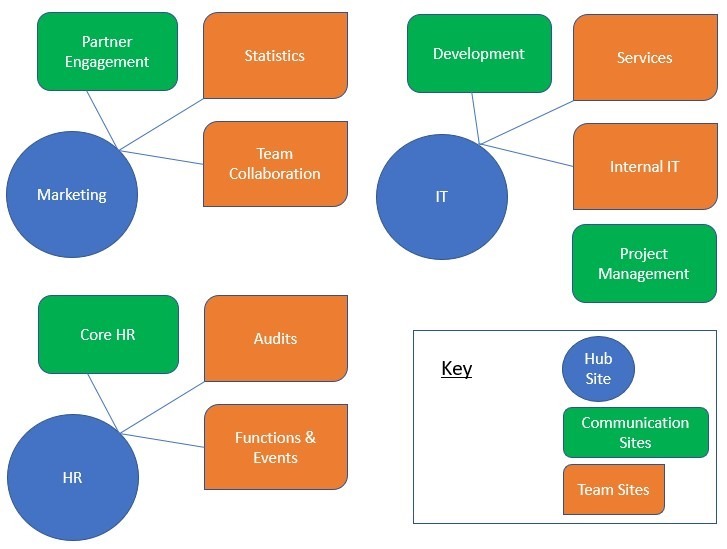 There can be Team Sites and communication sites and yet, Hub sites can consist both these under one umbrella to help you relate them together based on any attribute such as Projects, Departments, Division, Region or whatever you have. Let me put it in a simple way – Hub Sites will now help you to associate team sites and communication sites to provide a common navigational hierarchy, search, Logos and look and feel. A common global navigation is maintained across all connected sites of the particular Hub site. Sub sites inherits their look and feel from the root (Hub site) which allows you to maintain a single branding across all your sites. In a simple term, all sites are associated, which means they resides under one Hub. Search acts relevantly here. When you search for something in a Hub site, it performs the search within all the sites of that particular Hub Site. User activities happens within the associated sites which means, the engagements are specific to an defined area. Automatically aggregates content and displaying from multiple sites. News Web Part, Sites Web Part and Content Web Part can be used in a Hub Site to aggregate content from the associated sites and display the content on the Hub Site’s home page. This reduces a lot of manual work that developers supposed to do to get this done in the earlier days. 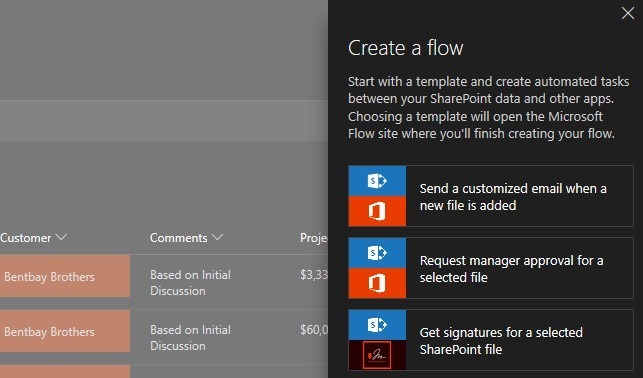 There are two ways you can create hub sites in SharePoint online (Yes ! 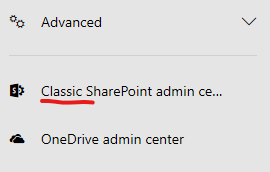 for now its only supported in SharePoint online). However, there is no template to create a Hub site so you can’t simply create a one using the “New Site” option. Instead, these are the options you have. or Promote an existing site as the Hub Site and associate other site collections to it. 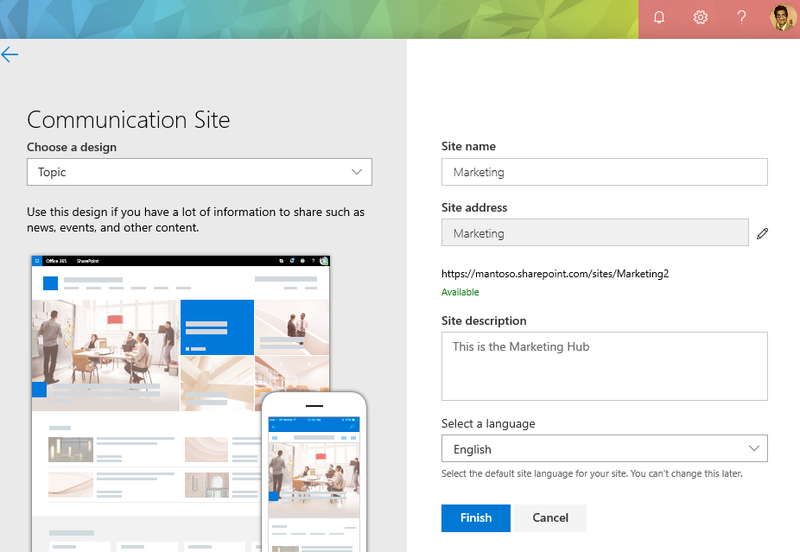 A SharePoint Team Site or an Communication Site can be converted in to a Hub Site. 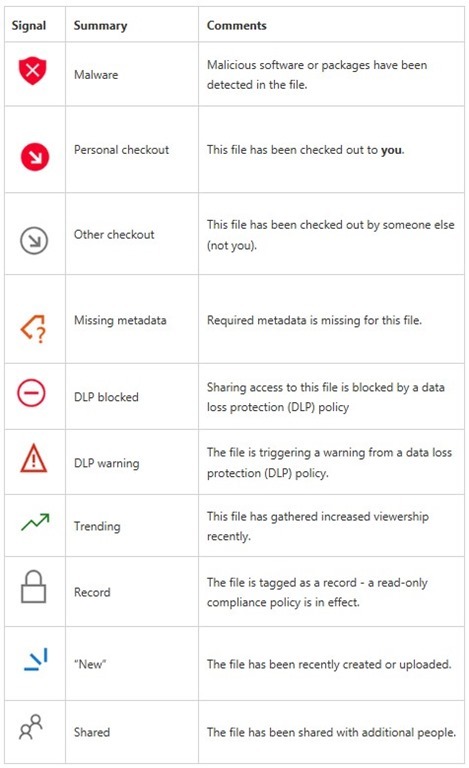 Ensure you have the “SharePoint Administrator privilege or above” in Office 365 to perform these changes. First and foremost, you need the latest SharePoint Management Shell installed in your machine. Get it here. If you have it installed already, you better uninstall it and install the latest version. 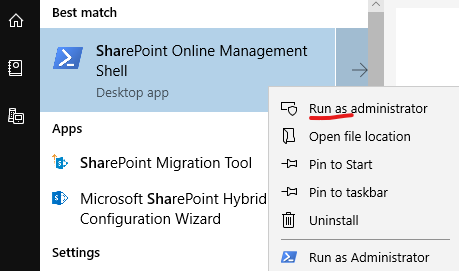 Once installed, launch the Shell as an administrator. 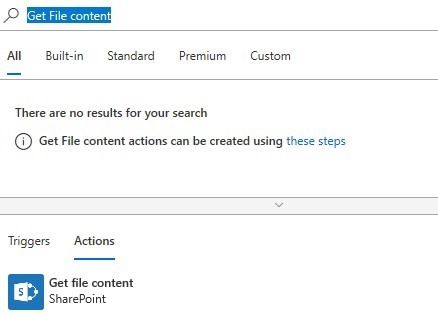 And here’s the first line to connect to the SharePoint online service. Provide your Admin credentials and hit next. And now to create a new site to act as our Hub. Following is the PowerShell code to provision a new site with modern experience. Adjust the parameters to reflect your localizations. New-SPOSite -Url https://tenantname.sharepoint.com/sites/HRM -Owner admin@mantoso.onmicrosoft.com -Template "SITEPAGEPUBLISHING#0" -StorageQuota 1024 -Title "HR Management"
If the command was successful, you will see that the Hub Site has affected with the change. Head back to the Active sites and you will find that the site now has the association with Hub Site. The rest would be similar to the things we did in the previous article. DISCLAIMER NOTE: This is an enthusiast post and is not sponsored by Microsoft or any other vendor. Pick “Communications” Site template and go for “Topic” Site design (for example). Define the Site owner and Site name etc.. and hit “Finish” to create the site. Now we need to register the Hub site we just provisioned. No big deal here ! just follow these steps. Navigate to the SPO Admin Center –> Click on “Active Sites” and that shows you all the active site collections. Choose the one you just desired as the Hub and “Register as Hub Site” from the Hub Site Dropdown as shown below. Fill in the name of the Hub and hit “Save” to complete this. You will notice the status is update in a few seconds for this site. To do this let’s go to the Hub Site –> Click “Gear” Icon on the top –> Hub Site settings. 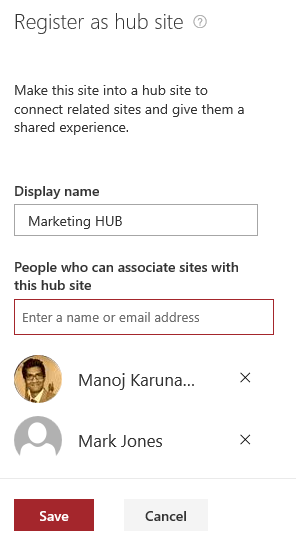 You also can edit the Hub site navigation that appears on all connected sites based on the central navigation (Hub). These elements shall inherit from the Hub Site to connected sites automatically. 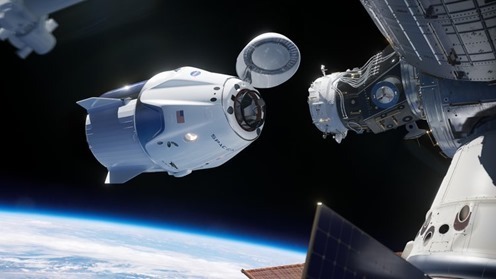 Note: When you customize the Hub Site after connecting other sites in, it will take up to 2 hours to apply the changes in the respective associated sites. 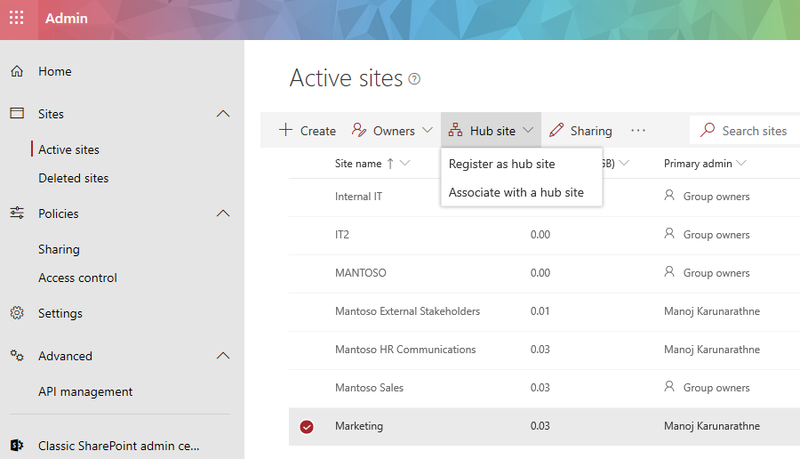 From the SharePoint Online Admin Center, click on the checkbox next to the site collection you want to associate with the hub, then from the Hub site drop-down list choose the “Associate with a hub site” option. From the list of all the hubs you have available in your tenant, choose the one you want to connect to and hit “Save”. Choose the relevant Hub you want this site to be associated. You will notice the status of the site is updated in a few seconds. Option2: You can also connect a site to an Hub Site using the “Site Information” section of the respective site. In this case, I have a site called “Partner Engagement” and I have opened up that in the browser. To do this, navigate to the site that you want to associate with the hub. Click on Settings gear Icon –> Select Site Information –> Choose the Hub Site Association and hit “Save”. You will immediately notice that Hub Site Characteristics have been inherited to the Associated site. Hub Sites offers the flexibility to attach and detach (connect and disconnected in other words) associated sites. For instance, let’s say my organization decides to isolate Project management and the site needs to move from IT department to PM department. We can simply detach the site from this existing hub to a new hub. Important Notes: However, this method only works for Modern SharePoint experience. Site collections that are in legacy mode won’t have this abilities so consider upgrading your experience soon if you haven’t ! Also, once you connect with an Hub Site, Navigation, Theme and Logos will be inherited automatically (That’s the whole idea !) to the newly connected sites. Connecting a site collection to the Hub site, doesn’t automatically add links to the Top navigation of the hub site. By default, only the link of the Hub Site appears on top. You have to build rest of the Top Navigation manually in the hub sites. Here is how: Navigate to the Hub Site –> Hover over to Top Navigation area –> Click on Edit –> Click the “+” sign to add a new link. Click OK and –> Save. In my case, I am adding an 3rd item to my global navigation of the “Marketing Hub. A Finished navigation should look like this and it will reflect across all associated sites. 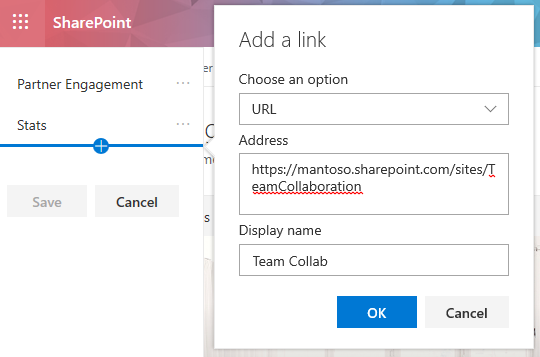 Connected (Associated) Sites will automatically contain a link back to the SharePoint Online hub site. You will also notice that you can’t change the theme of an associated site, because it inherits the theme from the hub site and that’s the whole purpose of this feature. For instance, have a look at this site “Statistics” of my setup. It now has all the items in the Global Navigation inherited from the Hub. When you connect a site collection to an Hub, it doesn’t impact the permissions of the associated site or the Hub. However, you have to ensure that all users who are going to join sites to the Hub site have appropriate permissions to the Hub, that’s it ! the rest shall remain the same. 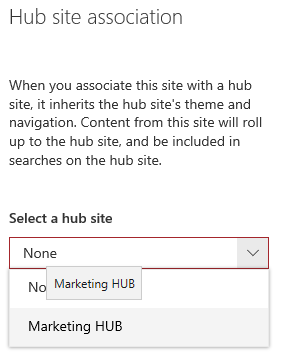 You can disassociate a site being under a Hub if no longer needed. Your navigation and the logo will be gone after disassociating but the theme shall remain the same as it was inherited from the Hub. You need to manually set it to a different one. To remove the existing hub site association, go ahead and select “None” in Hub Site association drop down list and Save it, simple as that ! Wish you could use PowerShell to do all these? Follow my article no 02 to get the same thins done via PowerShell. 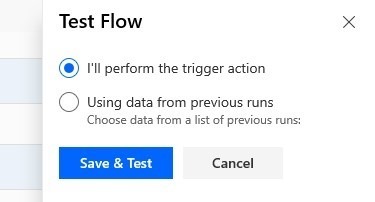 In my previous article, we saw how we can add a button in to SharePoint online list or library to trigger a flow in place. We are continuing with this article on how we can customize the newly added button to change its appearance (Well, let’s make it look like a button). Go to the format mode from the target button column. And we can use the following parameters to change the look and feel. My button here looks good as it stands out from the rest of the content in this space. Further more, you can customize the button to apply when a condition is true (e.g. – show a button only when the Flow have not started). In this case, I’m going to tweak my approval Flow a little bit to maintain the status of the library items. The purpose here is to update the status of a item which is initiate for approval but still “Pending” as we using a custom status column here. 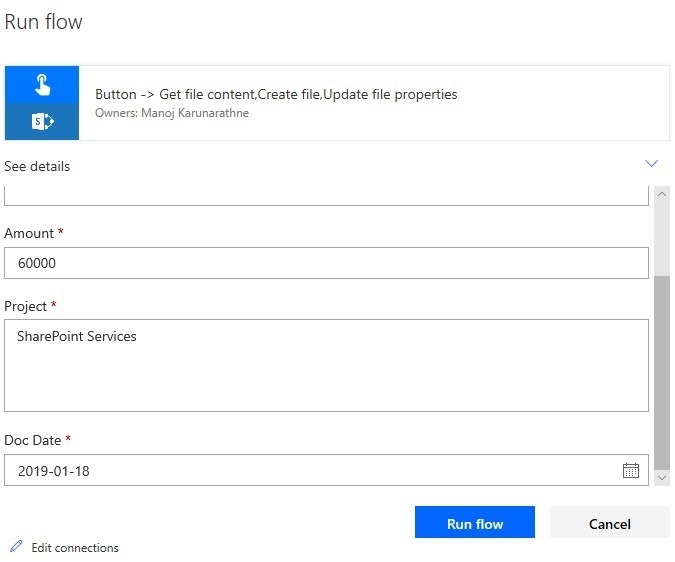 By modifying the Approval Flow, I am adding a new step (SharePoint Update item action) to my existing flow. This new step has to be placed before the starting the start. At this stage, I have to set the status as “Pending” (static string). Then the same action added to both ending paths in order to update the status column up on “Rejection” or “Approval”. 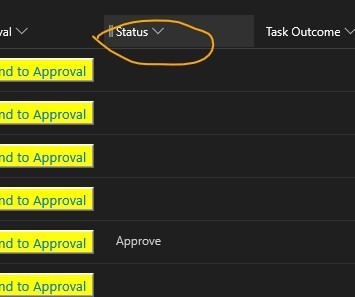 At this stage I can simply use the “Response” variable to pick up the current status value and update the “Status” column. Once added, it’s position looks like below. Define the Site URL, Choose the target library, pick the ID attribute and Response variable as shown below. Repeat the same for “No” path as well and that’s all we need to do here. That’s it from the Flow and we can head back to the Library to do the appearance tweaking. Go the column format mode and notice the changes I have done here. Apart from the color and background changes which I did to the button earlier, I have added a condition to display the button only when its true. Under this logic, the button would only appear when the status column = empty (“”), meaning the Flow have not started for a respective item in this library. And, as expected ! the logic is right therefore the condition perfectly applies. I have few documents in this library with mixed statuses (Rejected, Approved, Pending and of course some are not started yet). The button only showed for the items which are not gone through the Flow. 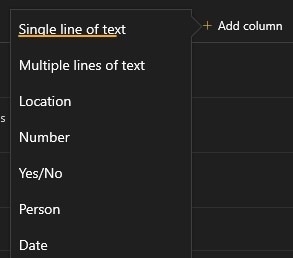 Microsoft reference for JSON based column formatting is here. This article has covered many perspectives of column formatting. And ! 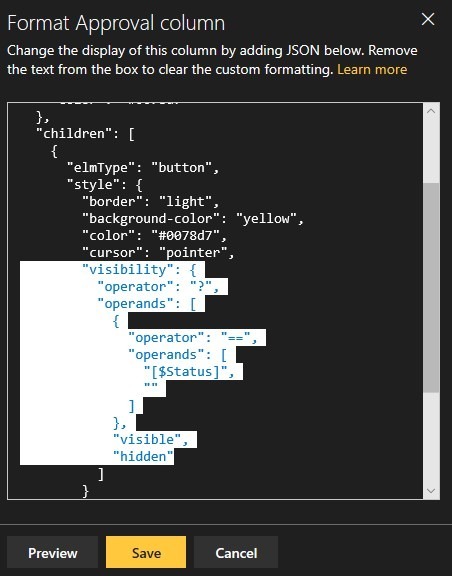 here’s the full JSON code of this customization which you can reuse if you have a similar use case. If you want to start from the beginning, go ahead and read my previous article. 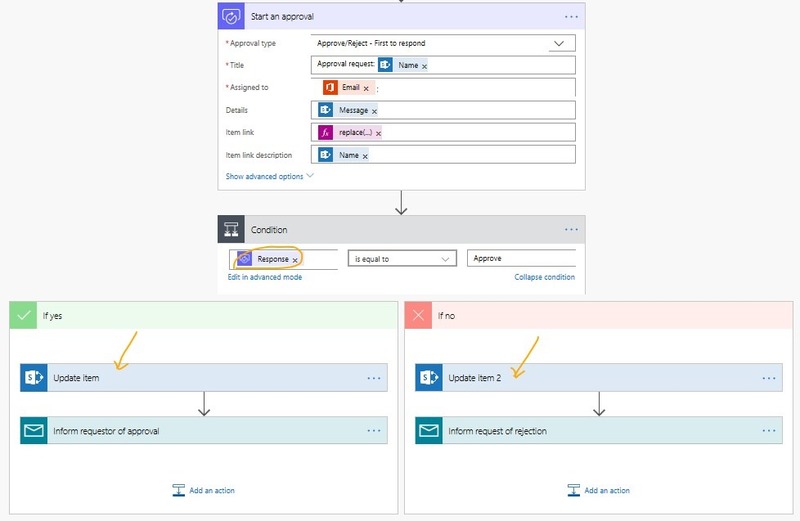 Microsoft Flow together with PowerApps undoubtedly revolutionizing the process automation in modern work places. You may have a Flow attached to a document library or list but there is no easy access to initiate that flow from the list/library itself. People have to dig in a little bit to initiate it and that’s a little bit of time consuming for constant usage. With this article, we will find out how we can overcome this struggle using a little bit of JSON stuff (Don’t worry about that word, you don’t need to be a developer here). 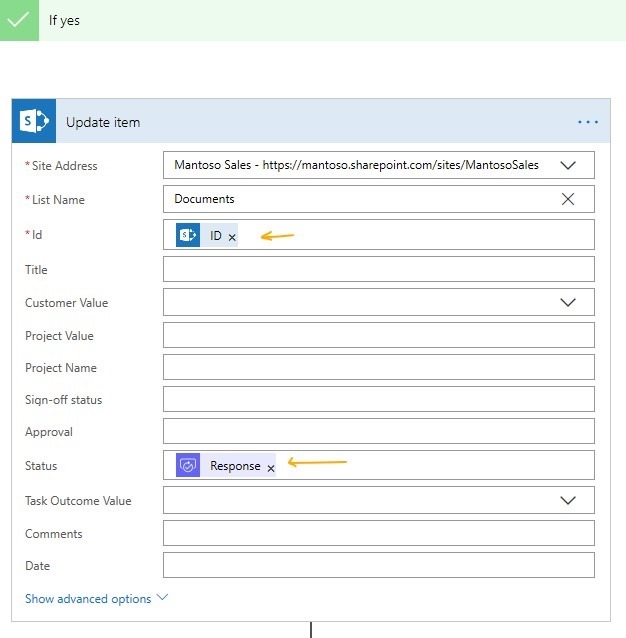 Using the Modern SharePoint capabilities, we can embed a button right in front of every item in a list or library so that people can trigger a Flow right there. New column formatting is a cool out of the box capability to get this done. Now let’s get this started. First and foremost, you need to have a Flow created in place and have the GUID of it. You’ll see a list of available templates. You can utilize these templates if your requirement matches with them. Or simply feel free to create your own. Thankfully, there are a lot of templates published by Microsoft and the community which you can re-use on various scenarios. Unless the requirement is very specific or you are really keen on creating one your own, there is no point of designing a Flow from the scratch. I am adding a simple “Request Manager Approval” flow here. Pretty straight forward. Next, go ahead and check if the flow is added to “My Flows” section. If so, you are good to go. Now go inside the created Flow by clicking on it and copy the highlighted GUID form the address bar of your browser. We need this for our new Button. Now to add the button but before that we need a new column for this button. From the list or library, go to the very end horizontally and add a new text column to this list/library. It should be like below after adding. You can edit this view by dragging and dropping the desired column across the library if you wish to. I’m calling mine “Approval” so it makes scenes for a column contains buttons. Now, go ahead and format this column. Click on the little arrow on the newly created column and go to format mode. And paste the JSON code below. replace the GUID using the target flow which you have copied to the clip board. Here’s the code (you will have it provisioned as you go to format mode itself). That’s it and you will immediately notice the button applied to your column. This is how my library looks like after adding the button. It still doesn’t look like a button because of the border, background and colors of it. Cool thing is ! you can customize the button to look like as you want it to be. Further more, you can also make it a logical button which has a condition behind it. (e.g. 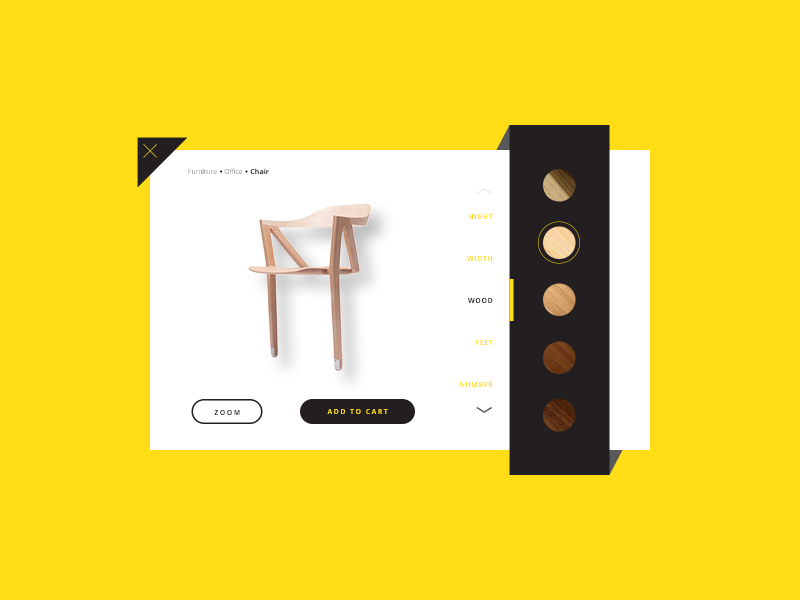 – show a button only when an item pending for approval). 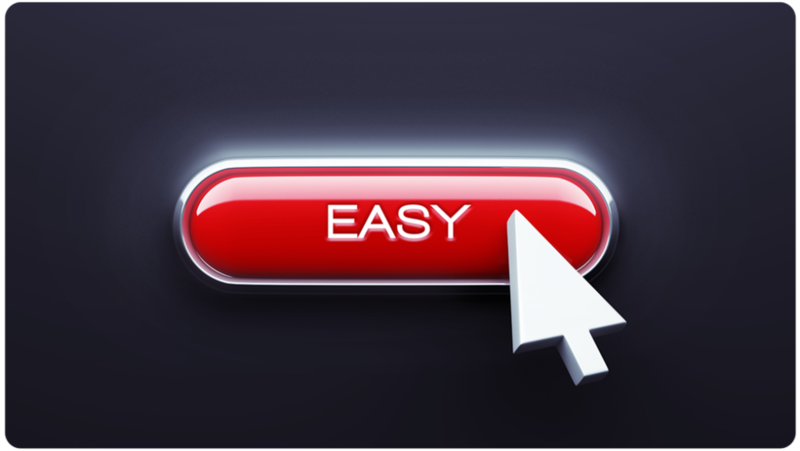 Read the part 02 of this article series to further customize the button and apply conditions. 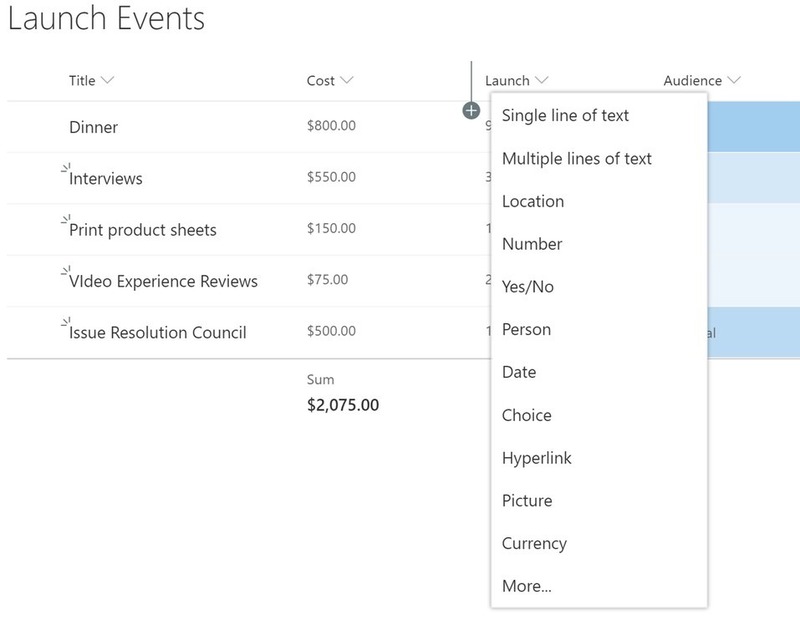 A great bunch of new features coming soon for SharePoint Modern Experience ! 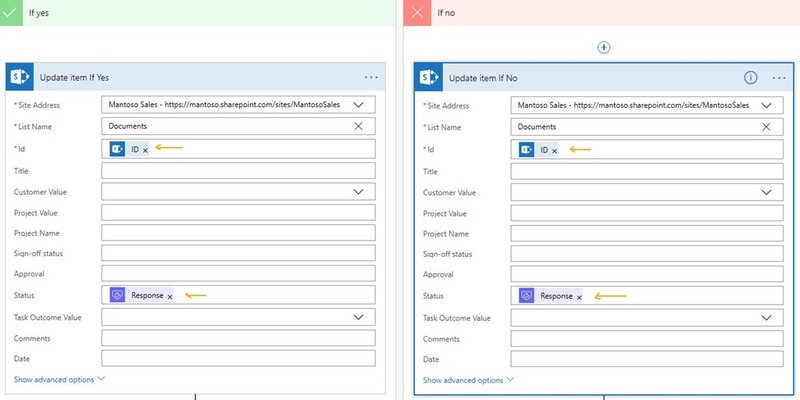 SharePoint product team just revealed news about a fantastic set of modernization features which are planned to release in the 1st quarter 2019. 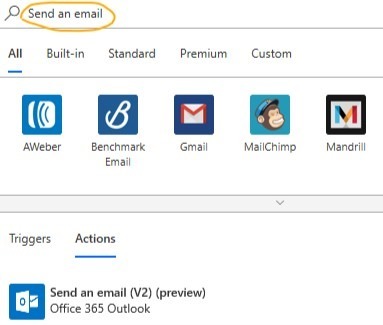 Microsoft been aggressively improving the user experience of SharePoint, OneDrive, in fact the whole Office 365 umbrella for the past few years. 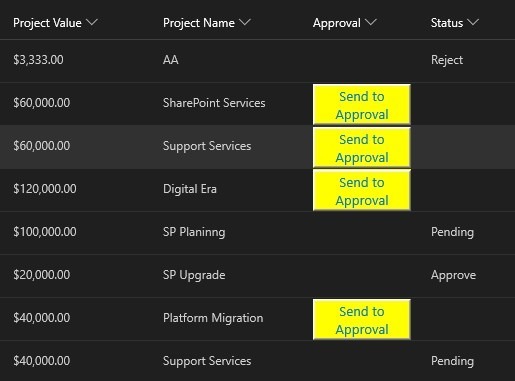 Some of these features are brand new while some are updates for legacy SharePoint capabilities. Nevertheless, each of them looks cool and would definitely great to have. The best thing everyone love about Office 365 is, there is no additional cost for any of these updates. Let’s find out what we are going to get soon. 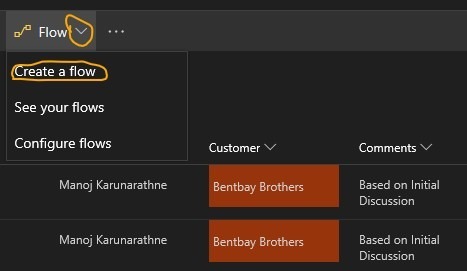 Microsoft previously released bulk edit for list and libraries and now with this update you will have the ability to check in/out multiple records/documents at once. Have a look at the following screenshot comes from Chris MacNulty. Document sets group related documents together with shared metadata, routing and visual experiences. They’ve been available in classic mode previously, and now you can work with them in the modern experience starting March 2019 onwards. Isn’t that cool when you have a nice visual cue right next to each file as the status? Here are the new list of status signals that you will soon be able to see in your tenant. 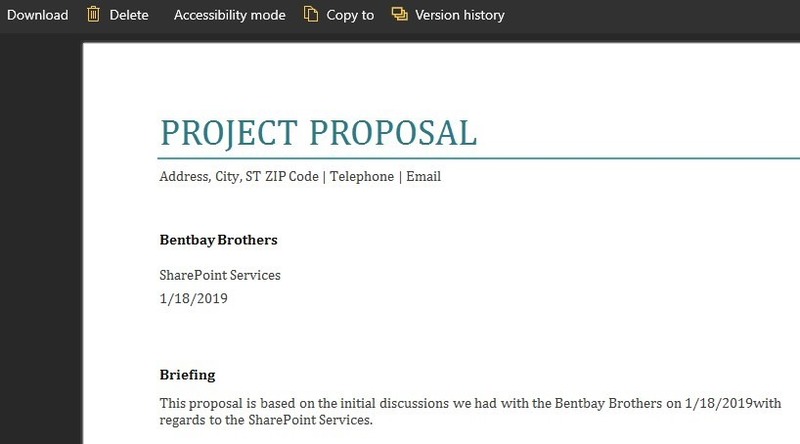 There will be more signals and the best news is its not going to just limit to SharePoint but also will be available on OneDrive, Teams, and Office Clients too. Wait no longer than February ! Custom views allow you to add calculated fields, such as totals or averages, to the footer of a group or the entire list. Now, totals will display in the modern view without forcing users back to the classic interface. Totals will also show in the modern web parts for lists and libraries. SharePoint is known to have large repositories. Large lists and libraries always takes a scroll vertically and horizontally. With Sticky headers, you will have the column headers pinned at the top of the scrolling window so it helps you identify list values as you move vertically and horizontally through the view. And ! column headers will also remain in place inside the list/library web parts across any page you have added them. Soon you will be able to add a column in between another columns which cuts off the time it takes to reach the end of the column headers. Again, this will help a lot in wider lists/library views where you have lots of columns added in to. Just hover you mouse on the edge between two columns and you will immediately notice the (+) icon. Guess what! You don’t have to dig in and modify the views anymore. 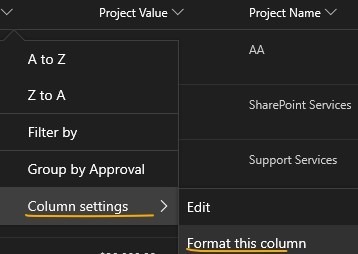 Moving a column within a list or a library, simply drag it and drop to where you want it to be. Easier right ? After the last step in the part 01 of this article series, we are resuming with this flow. We now can save this, and quickly give it a test run if it delivers what we need. Hit “Save” button and check the flow for any errors from “Flow Checker” option on the top right corner. Also, you can test any flow straightaway from here. Let’s do a dry run here. You have two options to test it out. Use data from the last run or trigger as a new instance. Hit “Save and Test” to begin. And hit “Continue” to start it. Flow also has an wonderful activity tracker. A cool new interface allows you to monitor your Flow activities from a one place. 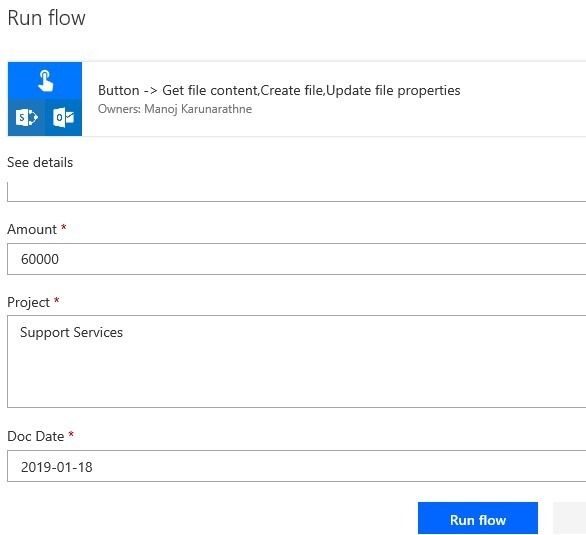 Click on “See flow run activity” to find out the status of this instance. This run has been succeeded. We can go back to the library and open up the document to see if our Quick Parts have been updated as per this run. Bare in mind that Word Online might have an issue when you open this kind of a document. Quick parts are working well with Office Desktop Application and Word online Preview Mode but, unfortunately having some issues in Word Online in edit mode. Therefore, make sure you test it with Word Application before you wonder where it went wrong as quick parts may still show empty in online mode even after running the Flow successfully. Here’s how it should look like after the execution. 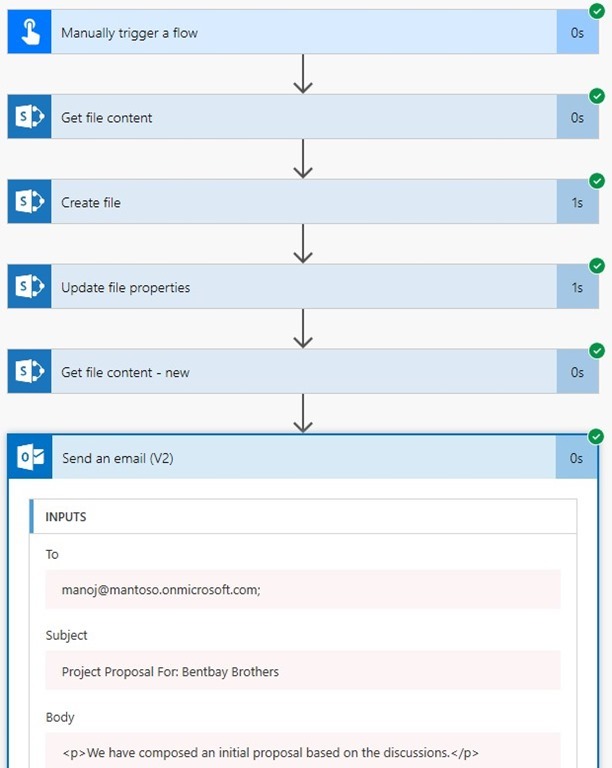 After composing of the document, we can configure the flow to send out email alerts. In this scenario, I’m going to send alerts to the person who triggered this flow, alerting him with the composed document as an attachment. Let’s go ahead and add a new step as usual. We have to rename it as “Get file content new” so it makes better sense as we already have a step with the default name. Next up, parameters. Choose the appropriate site URL from the drop down and file identified has to be the ID. Leave the “Infer Content Type” with its default and that’s it. Parameters to be configured as shown below. 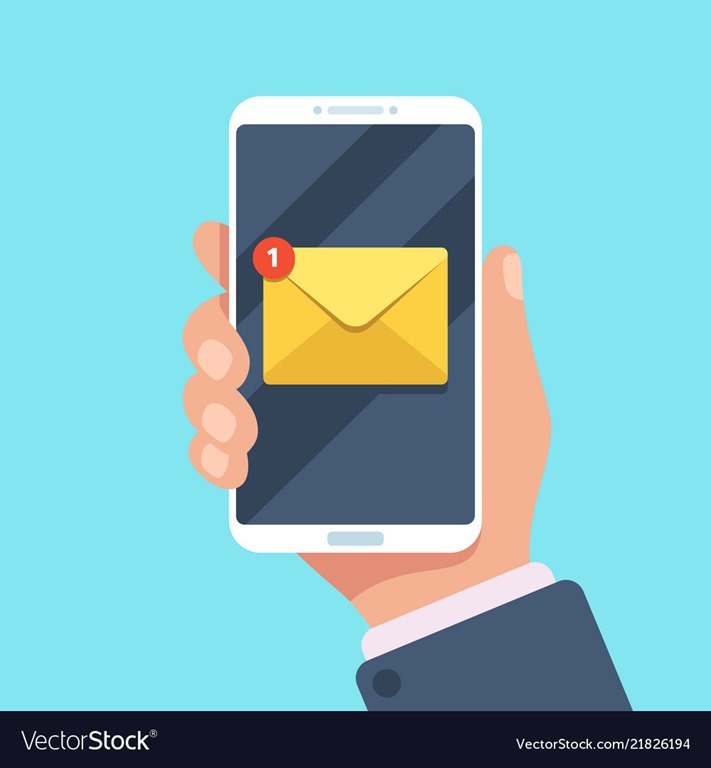 search for “User email” attribute for Receiver field and choose it. My subject line will be “Text: customer name field” concatenated. Feel free to have your own here. Type the text and look for “Customer Name” attribute and place it next to the text in the subject line as shown below. The Body will be just a plain text which indicates the purpose of this mail. Again, it’s all up to you to insert anything here. For the attachment name, use File name with extension, from the Update file properties section. For the File Content, get that from the Get file content new file section. You can extend the content section by adding more attachment/content but that’s optional. just leave the “Importance” as normal here which depends on your situation though. Feel free to adjust these parameters as required. Now the exciting part !. We can run our full flow to see if everything works as expected. So I will go ahead and kick it. 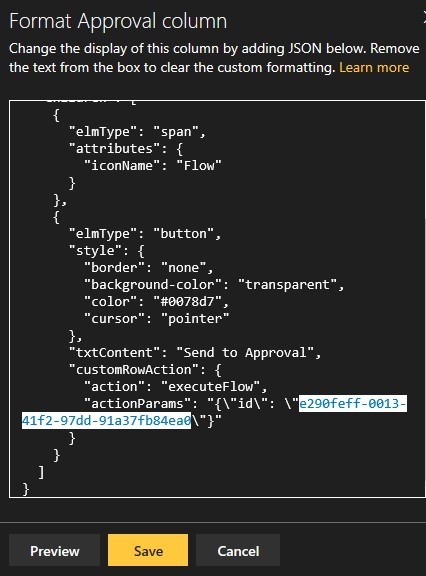 Click on “see flow run activity” to see the status of this instance. And click again on the latest instance from the history of this flow. You will see the entire history of the instance selected. And best of all, in just a simple click you can see the action result in a handy dandy UI ! Isn’t this amazing ? Now let’s switch to our outlook account. In my case it’s my account which was used to kick the Flow. And, I can see the latest item with all our parameters including the attachment which means the hard works have paid off !! In addition to that, Flow Dashboard is a great place to keep up with all your things around Flows across the entire tenant. You can turn on/off a flow with just a button swipe!. Statuses and other handy dandy stuff all brought in to a one place to make your life more easier. Until next flow post, Happy Flowing !